Worker’s Compensation - Scarsdale Premier Insurance Agency | Advocate Brokerage Corp.
Advocate Brokerage provides insurance for your business, as well as for your home and car. Worker’s compensation is one policy that no business should go without, as the lack of sufficient coverage could result in significant financial liability. According to a study from the National Council of Compensation Insurance based on data from 2007, there were more than eight million fatal and non-fatal work-related injuries that occurred that year, and more than 500,000 fatal and non-fatal work-related illnesses. Employees generally can’t sue their employer over work-related injuries and illness unless there is negligence or another provable tort, but employers are required by law to cover their medical expenses and compensate them and their families for death or disability. Many states require an employer to prove the financial ability to pay a workers compensation claim – something most businesses would be hard-pressed to do. The best solution, explicitly recommended by the American Bar Association, is to purchase enough insurance coverage. Advocate Brokerage provides two types of worker’s compensation policies: coverage of medical expenses and disability payments due to job-related injury or illness, and liability protection for the business in case a lawsuit does arise. 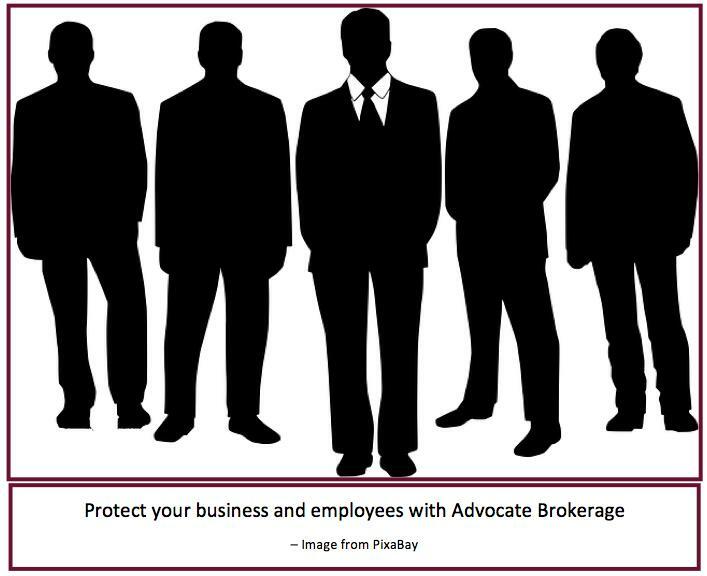 Advocate Brokerage wants your business to be protected and to get the most out of its compensation policy. For more information or to get a quote, please visit our website, or call to speak with us and receive a quote specifically customized to your business’ needs.